Add a touch of class to your business, organization or conference. Selecting name badges with a frame can say “we want to look great !”. Remember it is always an option to design a name badge initially and decide to add badge frames later. We want to work with any budget and understand a business may desire that only “key” employees or public based personnel wear the frame style. Whether it is reusable tape style badges or higher end frame style name badges, we want to be your resource. 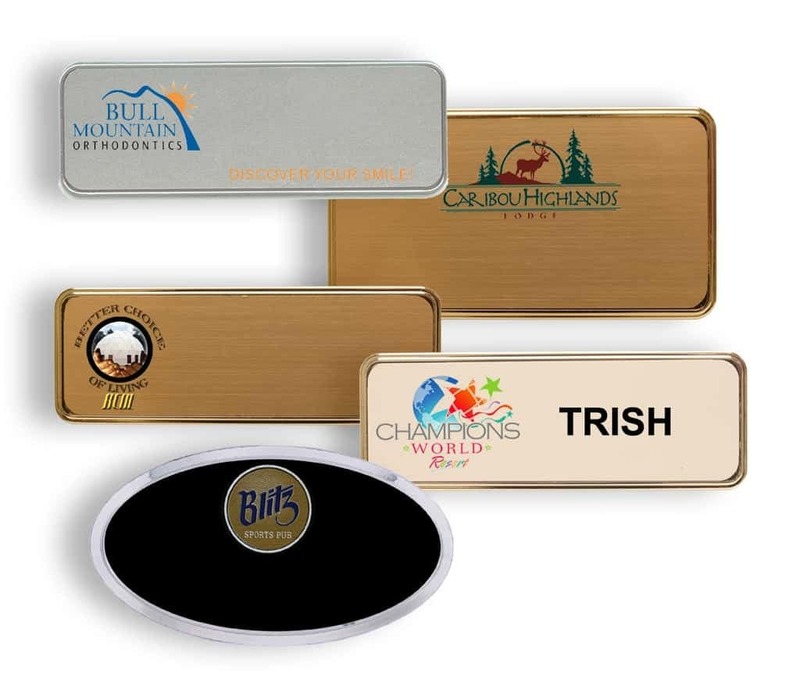 As with all of our name badges we offer magnetic name badge holders as our top selling holder. Get Noticed !! Let Name-badges.com Inc. go to work for you.